I am seeing the play and the movie as usual. Recently, the photograph walk has also been added to a hobby. Therefore, the diary is feeling of being with a photograph. It walked until the evening. It was very sultry, and sweated. Still, here was crowded, and completely recognized as a sightseeing spot. 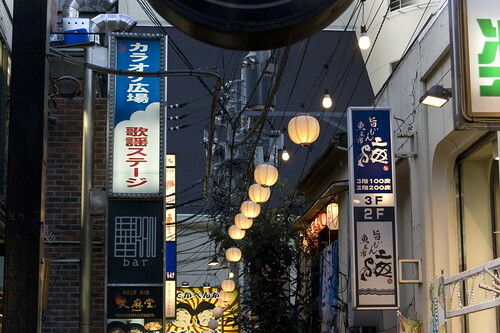 It walked from Nezu Institute of Fine Arts that opened soon to the vicinity according to the Meiji St. 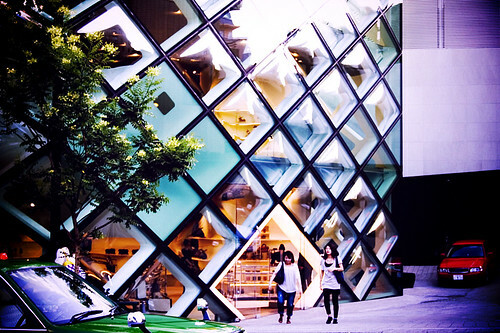 I dared also to take the photograph of PRADA BOUTIQUE AOYAMA on the net as usual started seeing good. It went by the theater to see the dance live by Yukio Suzuk of Choreographer. Afterwards, downtown was taken. I was coming by work to the neighborhood by chance on that day. 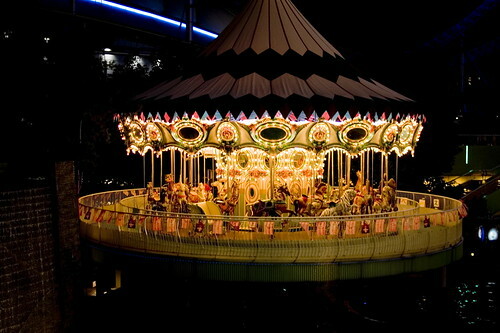 Suddenly, the scream of people who ride on a roller coaster out of darkness could be heard, and interest came out to the amusement park of night. Since I did not have a tripod then, there was no photograph which can use many blurring not much.